Maple Hot Wings - Tree Top Nursery & Landscape Inc. 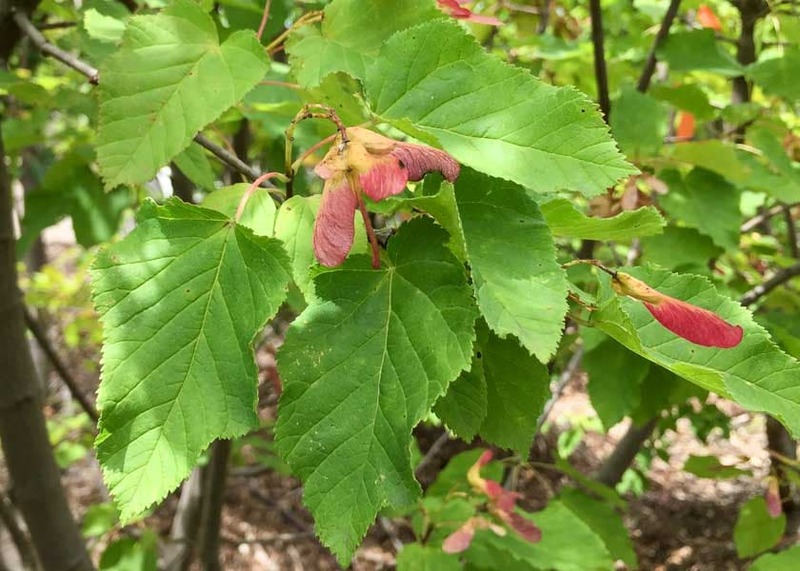 This small ornamental tree displays bright red seeds in the summer when other trees are usually done blooming. The tree starts out oval when young, but the branches widen, and the tree becomes rounded with age. Its leaves change color from yellow to orange-red in the fall. It is very tolerant of high alkalinity, drought, and a variety of soils.